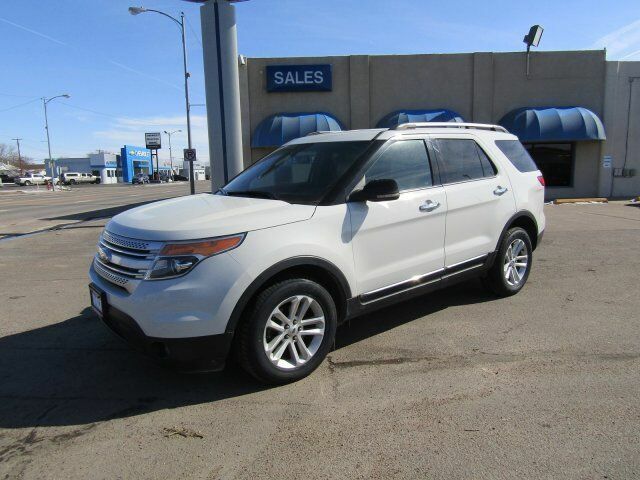 Come see this 2012 Ford Explorer XLT. Its Automatic transmission and Gas V6 3.5L/213 engine will keep you going. This Ford Explorer has the following options: Upper body color/lower black front/rear bumpers, Unique cloth front bucket seats -inc: 6-way pwr driver seat, manual driver lumbar & recline, 2-way manual passenger seat w/manual recline, Trailer sway control, Traction control, Tire pressure monitoring system, Terrain management system, SYNC w/MyFord Touch -inc: (2) 4.2" color LCD displays, outside temp display, SYNC basic voice-activated communications & entertainment system -inc: Bluetooth capability, steering wheel audio controls, USB port and audio input jack, 911 assist, vehicle health report, SOS post crash alert system, and SIRIUS satellite radio w/6-month subscription *N/A in Alaska or Hawaii*. Stop by and visit us at Wolf Auto Center Ogallala, 602 West 1st Street, Ogallala, NE 69153.